Home automation is the act of automatically controlling tasks within the home that are normally performed through an act of human labor. While this sounds neat and orderly, it actually isn’t so (but it’s getting there, and quickly). Home automation has been around for a long time, but it’s beginning to really take off for consumers at all price points in this Internet age. Take a brief look at how home automation has been achieved in the past and how it’s getting done these days. In terms of home automation, “old-fashioned” means spending thousands (and sometimes tens of thousands) of dollars to implement customized automation solutions within a section of your home (such as the entertainment room) or throughout the entire space. 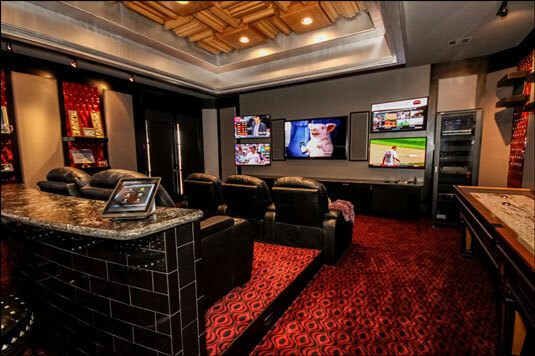 Credit: Image courtesy of Home Entertainment, Inc.
Home automation has been around for quite a while, but some of its technology tended to be available primarily for folks with fat bank accounts. Why? Glad you asked. Home automation used to be a specialty premium service, requiring a great deal of money to manufacture. Installing a home automation system often required extensive rewiring and other electrical work. Ongoing support and maintenance of a customized home automation solution was (and in some cases, still is) expensive by nature. Systems were truly customized to the individual home, creating higher costs. These are just some of the reasons for the super-high cost of past systems, and for the still-high costs of similar comprehensive home automation solutions today. Controlling your entire home’s lighting just wasn’t something that most of the housing market was doing until recently. Also, old-fashioned home automation was something you did within the confines of your home; rarely were you able to handle tasks remotely. Some home automation technologies, such as intercoms and garage door openers, were never as expensive as others to implement, and therefore more prevalent in homes. However, they were the exception rather than the rule. There’s nothing wrong with whole-home, customized automation, and many companies today excel at it (and bully for you if you have the moola to do it!). Most people would jump at the chance to automate more things in their lives if doing so were affordable and could be achieved with reasonably minimal effort. Well, you’re in luck. Most are able to automate at least certain aspects of home life today because they don’t cost an arm or a leg, and they aren’t difficult to install. Today, all you need to implement a home automation system is an Internet connection and (in some cases, but not all) a device to control it, such as a smartphone, table, or computer. Of course, you have to purchase a system or appliances, but many of them that utilize your Wi-Fi network (or even your home’s power lines) are inexpensive. Another bonus with today’s home automation technology is that you can start as small as you like and build up to as large as you like. 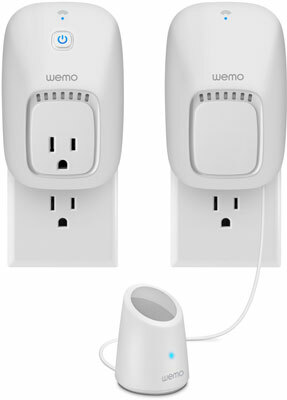 For example, with a kit such as the WeMo Switch + Motion kit from Belkin, you can begin with just a smart wall outlet and a motion detector, but can add more and more WeMo devices to your heart’s content.